…it is true that more funds are being raised today than ever before [by J Street] from donors who depict Israel as the obstacle to peace and favor U.S. pressure to force Israeli concessions. The campaign contributions put muscle behind a flood of articles and speeches that portray Israel as a strategic liability rather than an asset — a trigger-happy country that exaggerates the Iranian threat and is plotting the annexation of the West Bank at the expense of the Palestinians. Spokesmen for this view, like author Peter Beinart and J Street President Jeremy Ben-Ami, are taking ideas from the far left of the Israeli political spectrum and transforming them into mainstream beliefs of the Democratic Party. Meanwhile, however, their counterparts in Israel have shrunk to insignificance: Meretz, the party of Peace Now and Yossi Beilin, has contracted from 14 seats in the Knesset to a mere three. Shelly Yachimovich, the new head of the Labor Party and informal leader of the Israeli opposition, has resisted fierce pressure to embrace the Beilinist agenda. The vast majority of the Israeli public has spoken, and it has rejected the ideology these critics are bringing to the United States. But in America, these voices have found fertile ground. The American Jewish community is on average more liberal and more dovish on the Middle East than the Jewish majority in Israel. Reform temples and college campuses are particularly receptive to Beinart and Ben-Ami’s message. — Steven J. Rosen, Is J Street Winning? Could it be that the Israelis, who so emphatically rejected their left-wing parties, are on to something? American Jews, who have not had to deal with the horrors of the terrorist intifada and rocket barrages, find it comfortable to accept the simplistic conception that there is a two-state solution out there — and that if it hasn’t happened yet, it is because Israel hasn’t tried hard enough. It is much harder to face the reality — as most Israelis have — that there is no solution in the near term because there is no partner for peace on the Arab side. The Israeli Left, having lost local support, nevertheless has retained the ability to project its opinions outward. Supported to a great extent by money from European governments, international anti-Zionists like George Soros, and American liberals, Israel’s post-Zionist media, academics and NGOs articulate their positions in international forums and media in English. They paint the centrist Netanyahu government — which has been anything but ‘hardline’ where concessions to the Palestinians are concerned — as reactionary, anti-democratic, racist and theocratic. Israelis, used to the hyperbole of their politics, know nonsense when they see it, and pay no attention. But in America, there are powerful forces — including the State Department, the White House and he CIA — for whom it is a priority to see Israel forced to give up the territories and eastern Jerusalem, and who would love to see a more pliable regime in Israel. They have found it effective to present the Israeli Left as the authentic voice of Israel. Through their compliant media (e.g., the NY Times and NPR), personalities like Thomas Friedman and Peter Beinart, and tools like J Street (whose leader, Jeremy Ben-Ami, once called his group “President Obama’s blocking back”), these positions are expressed as consonant with the liberal values that many American Jews hold. Since they are not as well-informed about the realities of the Middle East as the Israelis that live in it, many American Jews are fooled, accepting J Street’s claim to be “pro-Israel” despite the consistently anti-Israel positions — even opposing sanctions on Iran — that it has taken. Even if they don’t follow groups like J Street, they accept what is now becoming the regular ‘line’ of the Democratic party, as Rosen explained. One of the major obstacles to those elements that desire to meddle with Israel has, in the past, been the strong support for the policies of Israeli governments by American Jews, as expressed by the traditional Zionist organizations like AIPAC, etc. Little by little, left-indoctrinated Jews are moving into American Jewish institutions like the Federations, Hillel and even AIPAC, and their influence dilutes the formerly strong support provided by these organizations. One has to appreciate the strategic ability of Israel’s enemies. It’s ironic that an ideology that failed the test of reality in Israel has found a new home here — as a political fantasy among American Jews. But after all, we are the folks that gave the world Hollywood. J Street: Hello, J Street. Ben Ami speaking. Rabbi Malcolm Shain: Bon Ami? No, I didn’t want cleanser. I’m looking for J Street, the Pro-Israel, Pro-peace people. JS: This is J Street. 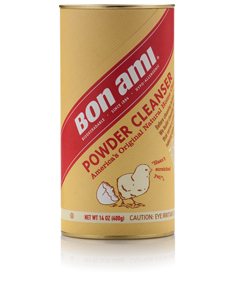 Although we could really use some Bon Ami. I can’t describe how disgusting the sink is since all the help quit. First we lost Spitalnick and Luria, and now Susskind has gone to Tides. Hmm, maybe some Tide would work on this sink. JS: Great! Come over right away, and bring your mop and Bon Ami. MS: No, not the janitorial job. I mean the Rabbinic Organizer that you advertised for. I’m Rabbi Shain. You can call me Mal. JS: Oh. Are you sure you didn’t want the janitor position? It’s so hard to get good help these days. Well, we need to organize the Rabbis just as much as we need to clean the sink, so let’s go with that. First of all, I need to ask you one important question: are you absolutely, 100%, totally pro-Israel? Because that’s something we won’t compromise on. MS: Positively. Whenever I’m in Israel, I join demonstrations in Sheikh Jarrah or Bili’in. I work with Rabbis for Human Rights to protect Palestinian olive groves against those evil settlers. I work tirelessly for the Lef– er, I mean, for democracy. Because I love Israel and want to make it better! JS: Well, that sounds good. What about here in the US? MS: I’m pro-Israel here, too. I lead encounter groups for American Jews to meet real Palestinians to learn how indigenous people are mistreated by the right-wing regime in Israel. Did you know that all Hamas wants is to end the occupation — and Bibi bombs them for it! JS: Yes, Israel would certainly be a more vibrant democracy without Bibi. 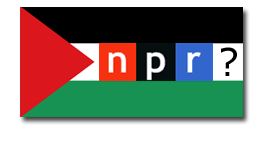 How do you feel about a two-state solution? MS: It’s absolutely essential! Two states for two peoples! One for the Palestinian people, and one for the Arabs! JS: Er, Mal… you meant the Jewish People, didn’t you? MS: Oh, of course. I forgot about them. They have rights, too. JS: We need a dynamic organizer who can whip our Rabbinic Cabinet into shape. They’ve been fleeing like rats deserting a sinking– I mean, there’s been a lot of attrition lately. Some of them don’t understand how important it is for them to make us look– I mean, to be validators of our pro-Israel message. What we need is a community organizer for rabbis. JS: Exactly. The sky is the limit. Now tell me — can you handle rabbis? Can you talk the lingo, quote the text and liturgy? Some of them are religious. MS: No problemo! I know what to order in a Chinese restaurant. One state from column A, one from column B. Ha ha, get it? I even have a kipa in my pocket that I borrowed from a funeral, just in case. JS: Er, yes. You sound perfect for the job. When can you start? MS: Right away! My congregation decided not to renew my contract for some reason. Can you imagine? I’ll be over as soon as I get the tar and feathers off. JS: Great! And Mal… pick up some Bon Ami on the way. We really need to take care of this sink. Earlier this week I wrote about the Bergson Group and their struggle to get the FDR Administration to take action to save European Jews during the Holocaust. I’ve come across an article by Sol Stern that adds something new to the story. Along with Hillel Kook (alias Peter Bergson) was one Yitzhak Ben-Ami. Kook, Ben-Ami and the others were members of the ‘Irgun’, a right-wing Zionist organization led by Menachem Begin. They had initially come to the US from the yishuv in Palestine to raise money and obtain arms for the clandestine militia, but when they realized what was happening in Europe, the mission changed. No single figure did more to undermine the Committee’s work than Rabbi Stephen Wise of Temple Emmanuel [sic], undisputed boss of several national Jewish organizations and often referred to as “King of the Jews.” On the day that Ben-Ami and his colleagues were leading 100 orthodox rabbis in a demonstration in front of the White House to protest the Roosevelt administration’s inaction on rescue, Wise was advising administration officials that the Bergson group “did not represent Jewish thinking in America.” Wise viewed the young Palestinians and their American supporters as interlopers and even tried to get Ben-Ami and his colleagues deported. 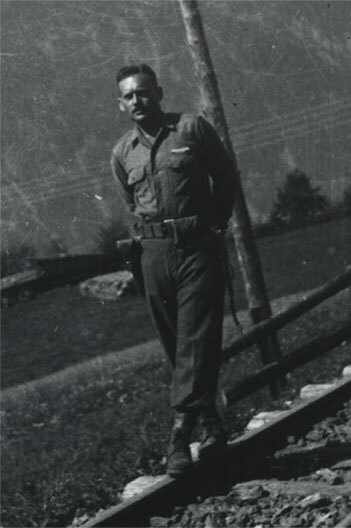 Accused by Wise of being a draft dodger, Ben-Ami then enlisted in the American Army. Yitzhak Ben-Ami, himself the son of pioneer Zionists who were among the founders of Tel Aviv (supposedly he was the first Jewish baby born in the new city in 1911), survived the Battle of the Bulge and came back to the US. In New York he raised a daughter, Deborah, and a son, Jeremy. Yes, that Jeremy Ben-Ami, Executive Director of the phony ‘pro-Israel’ lobby, J Street. Yitzhak did well in America, and Jeremy’s life was much easier than that of his father (who died in 1984), including private school and Princeton. After a job as regional director for the anti-Zionist New Israel Fund (if you have a problem with my adjective, please read the linked post), Jeremy went to work for Howard Dean’s presidential campaign and then for Fenton Communications. Apparently they also believe in helping Hamas, because — as I reported here last June — they did extensive work for a propaganda enterprise called the Al Fakhoora Project, paid for by Her Highness Sheikha Mozah Bint Nasser Al-Missned, wife of the Emir of Qatar, and which calls for the ending of all restrictions on goods and transit to the Gaza Strip, as well as dispensing the usual demonization of Israel. When Dean’s campaign folded in 2004, Ben-Ami took up in earnest his father’s focus on Israel. Bringing his experience and a list of progressive donors acquired since his Clinton years, he sought advice from David Fenton of Fenton Communications, a consultancy for progressive non-profits. “David convinced me to do the incubation as a project of Fenton,” Ben-Ami says. Now based in Washington, Ben-Ami consulted for other Fenton clients on issues like climate change, while pushing for a new organization—possibly a merger of existing groups, that would also be the Zionist left’s first registered lobby. Ben-Ami left Fenton to become executive director of J Street in late 2007, before the Al Fakhoora project contract was signed (2009, per J Street’s Myths and Facts page), and claims to have no knowledge of it. Ben-Ami also claimed that J Street had received no funds from George Soros — until it became public knowledge. J Street was helped a great deal by Ben-Ami’s relationship with the Obama Administration, which in 2009 invited the new organization to a meeting of ‘Jewish leaders’ at the White House — a traditional gathering from which the right-leaning Zionist Organization of America (ZOA) was dropped for the first time. But it takes a huge historical leap and considerable conceit to suggest that there is any valid comparison between J Street’s political movement of today and Jeremy’s father’s struggles in the 1940s to alert Americans to the ongoing destruction of European Jewry. For daring to advance their own ideas about the best way to rescue the endangered Jews of Europe, Yitzhak Ben-Ami and his Irgun colleagues were subjected to calumny and dirty tricks directed against them from mainstream Jewish leaders like Rabbi Wise. These leaders betrayed their moral obligation to forcefully advocate the rescue of Jews in Nazi occupied Europe because of their lack of political imagination and a cowardly unwillingness to challenge a popular American president. … Ben-Ami’s father exhibited true courage when he stood up to Rabbi Wise in the 1940s and championed the lost cause of the European Jews. On the other hand, it is truly an Orwellian moment when Ben Ami anoints Peter Beinart as courageous for writing an article for the New York Review of Books (which Beinart followed up on by bagging a six figure book advance and lucrative Passover speaking engagements at Jewish resorts). It became all the more grotesque when Beinart, in his J Street speech, cited Rabbi Wise as his own liberal Zionist hero. Jeremy Ben-Ami’s reflexive response to criticism is to accuse his critics of being “right-wing” (the phrase appears five times on J Street’s “myths and facts” page). I wonder what Yitzhak Ben-Ami would say to that?